I was of the impression that these items were under embargo however they seem to have appeared in public and most of the details being shown privately to select partners has been reposted on LinkedIn. Here’s what we understand so far about the Sage re-branding. On stage at the Sage Summit 2011 conference incoming CEO Pascal Houillon surprised the audience of Sage Business Partners with an announcement that most of the products in Sage’s North American portfolio would be rebranded with a numbering scheme similar to that used in Sage Europe. What followed was apparent confusion for some in the Sage channel as evidenced by this very lengthy 130+ message LinkedIn message thread. Sage have been meeting privately with select VARS to roll out their concept of re-branding and solicit private feedback. When asked if he’d be going on the road to do a general listening tour with the entire channel, EVP Marketing Dennis Frahmann paused before stating that Sage had no plans to gather general feedback from partners. As conversation continued on LinkedIn around this re-branding efforts Sage seemed to move into position to participate in the conversation (too late in my opinion) and issued several general statements to clarify their branding. The current straw case naming architecture that has been shared with a number of partners and advisory groups for comments proposes that the name of Sage ERP X3 be untouched. There are other products as well that would not get renamed. Our intent is to publish the complete naming architecture to our partner community later this fall. Second, as noted in an earlier FAQ to partners, not every product is being renamed. 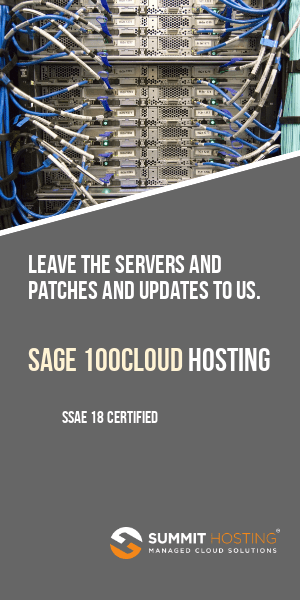 Some programs and products, currently designed to support all of Sage, already have generic names that will remain the same or change only slightly. Other products, due to either specific business plans or limited intent to acquire new customers, will not change their names. Only a limited set of numbers will be used to create families of offerings; each renamed product will not have a distinct number. Finally, while this is a North American-led initiative, we are working closely with our international colleagues. If a product is renamed, it will be renamed for all regions in which it is sold. Sage will around the end of 2011 announce final plans for their new branding initiative. Implementation will follow at the start of 2012 with full branding rollout presently scheduled for the end of 2012. Sage 50: Sage Simply, etc. This will also roughly describe products used by companies with 50 or fewer employees and under $50 million of sales. Sage 100: Sage ERP MAS 90, etc. This will also roughly describe products used by companies with 100 or fewer employees and under $100 million of sales. Sage 300: Sage ERP Accpac, etc. This will include mid-market applications that also are distributed outside North America. This will also roughly describe products used by companies with up to 500 employees and $500 million of sales. It appears Sage ERP X3 will retain its name. As of right now there’s not much information on whether Peachtree will rebrand. Earlier reports has Sage stating that Sage Peachtree would be referred to as Sage 50. Also later in the year watch for a new SaaS offering which Sage CEO Houillon briefly announced from the podium. While details were not announced it’s likely that Sage will leverage some of their overseas product technology for this.